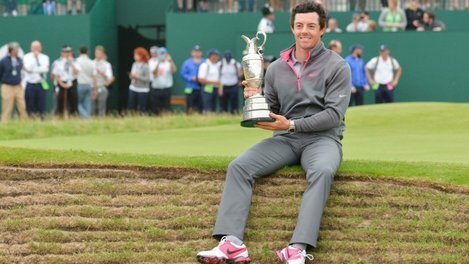 Following the tournament, McIlroy credited his mental preparation as a critical factor in his success. He talked about the use of trigger words to remain calm and focused. In this interview, he explains how the words “process” and “spot” helped him maintain his focus throughout the tournament. In another interview, he talked about what these words meant to him during the Open. "There’s quite a lot of mental strength that goes on to not allow yourself to think about winning, or the result, or what it would mean for your career ... You have to refrain from thinking about it because any sort of thought can derail you; a loss of concentration, a loss of focus, that can be two shots gone right there ... These two trigger words for me definitely helped." As Rory explained, trigger words help athletes avoid distractions and refocus on the task at hand. So what makes an effective trigger word? Your trigger word should mean something to you and your performance goals. Choose something that resonates with you. Do you have a word or phrase that describes how you want to feel when you perform? Examples could be: "clear" or "present". The purpose of using a trigger word is to perform your best. Make sure you are using a positive word. Examples of negative trigger words would be "don't choke" or "avoid mistakes". Positive trigger words would be "believe" or "commit". Trigger words are repeated throughout your performance. If you choose ones that are too long, remembering and repeating them can become a distraction. As a general rule, try to use words and phrases that are only a few syllables. Before your next performance, develop your own trigger words by applying the above principles. This should help you avoid distractions, refocus, and improve your performance.